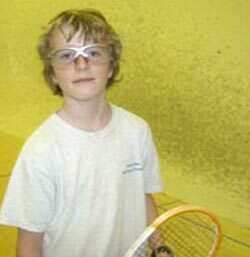 The MitchellSquash program at the Chatham Club has been offering professional instruction to young student athletes of all ages and levels for the past 30 years-alumni. Mitchell squash has been recognized by the US Olympic Committee/US Squash and has lead hundreds of students to National Rankings. 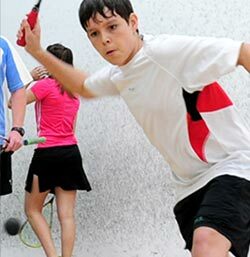 We are pleased to offer two Squash Introductory Workshops, at the Chatham Club, for Oak Knoll School Friday April 12th. and Friday May 3rd. from 3:40-4:40. During the one hour clinics students will be provided with equipment and an introduction to the game of squash by members of our professional staff. Registration for the introductory clinics is limited to the first 16 students per session who register. 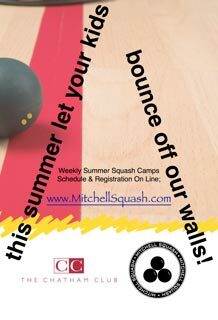 The cost of each session is $35.- Please have your child bring a check payable to MitchellSquash the day of the clinic. If you have any questions please contact Geoff Mitchell. Please select clinic date(s) your child will attend.